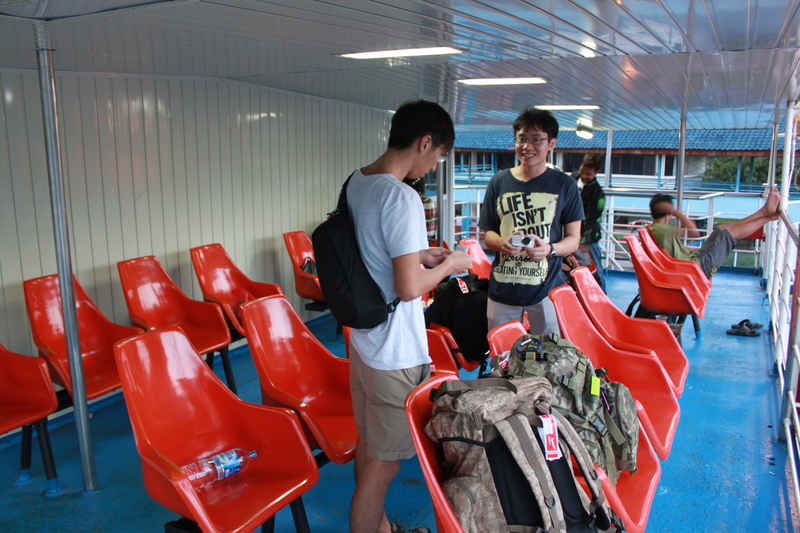 The true backpacking way is to take the slow ferry across the islands. Fast ferries are for noobs. I kid, take this option only if you are really on a budget and if you have loads of time. The taxi from the airport to Padang Bai took around an hour. Upon reaching there, make your way indoors past the gate to the ticket counter, ignoring everyone else like a plague just in case they try to scam you. Most likely, a surly ticket person will process your ticket silently. There are many people selling drinks, food like packet nasi lemak and local snacks that can cheer you up, or fill you while you wait for the Ferry. Guess what, we missed the ferry so we had to wait for another hour. The outer deck! Our tags are still on our bag. 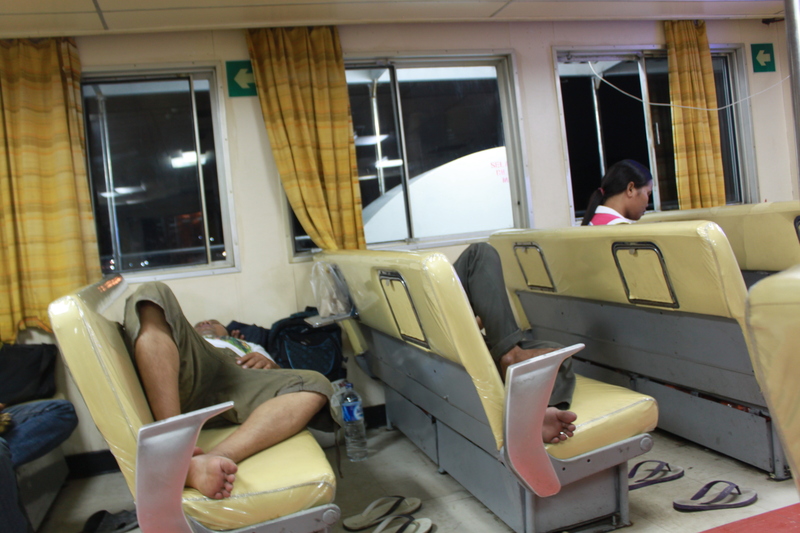 The ferry journey supposedly takes around 4 hours, but as it is a passenger ferry, it can hold vehicles too. Waiting for the ferry to rotate into the harbour, and waiting for the vehicles to load and unload takes a long time. It took almost 6-7 hours for us. The next annoying thing is the second hand smoke because everyone smokes in Indonesia, and everywhere. 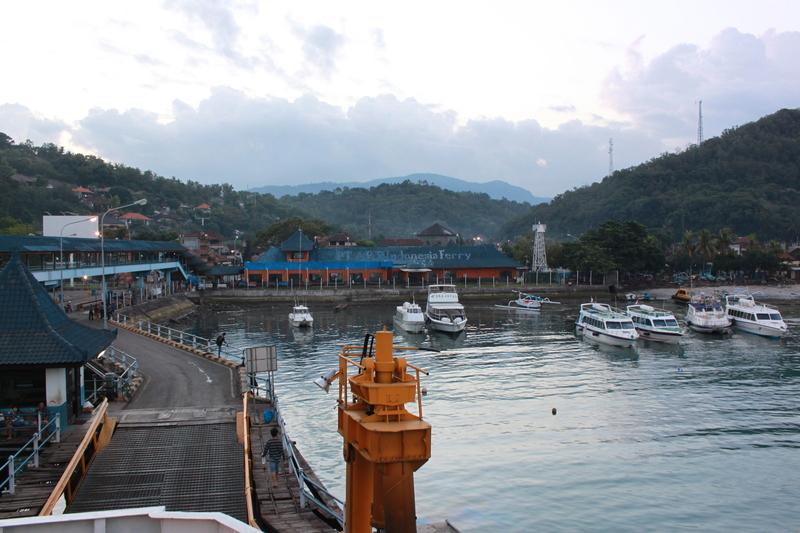 As we pre-arranged our trip, we got picked up at the ferry terminal and reached Senaru at around 1am as Lembar to Senaru takes around 2-3 hours. We asked to stop by one of those cheap Nasi Padang stores on the way where we had some food, which cost us maybe 1 SGD for a plate of rice and a few dishes. At Senaru, we stayed at Pondok Indah “Hotel”. It is frankly just one of those normal homestays in the mountains before the trek. Don’t expect too much. No hot water I think, and the shower was in another room.We then met up with Airee where he went through the basic details on the trek. I booked beforehand with Ariee which I believe is under Rinjani Experience, or Ariee adventure. They should have many alias. John is Ariee’s uncle. John is a very famous and respected (and of course rich) guide in Senaru. So, from what I gathered, I believe the few of them, who are more educated or entrepreneur would set up the websites and be the coordinator, for example Ariee would have 30 guides under him and run a few of the companies whom we know online as “Green Rinjani” or Rinjani Experience etc etc. Just a rough idea of what they offered. This is word for word. Snack : Wafer, biscuit, Tim Tam, gabin. Sounds like a feast? Like I said, Don’t expect too much ha ha. Noodles are basically instant noodles. What does this all mean anyway? You either go straight to the top where you believe they can give you a better discount, or go straight to the guide because you believe you are cutting the “agent”. However, I have friends who approached the guides directly, but the price quoted is actually still higher. Essentially, just be aware that all the different companies or organizations you approach online to pre-book could possibly all be run by the same few people. As a rule of thumb, this situation is a natural progression for most treks with guides. The pioneer or famous guide will expand and have many guides under him. It could be a good thing because the area becomes more organized if led by the right people. 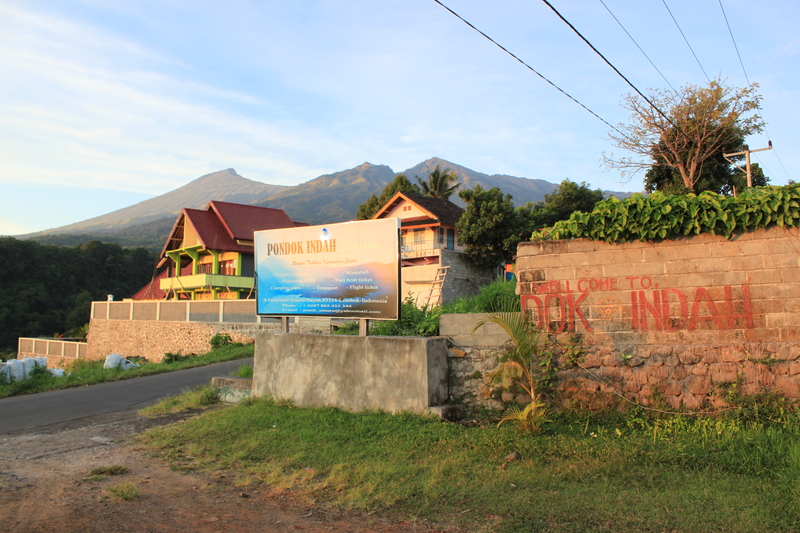 Such a detailed post about Rinjani! Totally the exact information I was looking to find. Planning to go this coming June/July. Thank for all the useful tips! Would like to ask if you were to do it again (IF.. xD) would you choose 3 days again or 4 days trek? I am reasonably fit (or should i say was? ), been to Mount Batur and Mount Kinabalu and used to hike once in a while in Malaysia. Would you recommend me to take 3 days or 4 days trek? Thanks and hope to hear from you soon! I think the decision of whether to do 3 or 4 days lies with the company and the type of trekker you are. For me, if I had good company and all of us wish and love to spend more time on the mountains, I would choose 4 days because it is more relaxing going down. Going up is still the same if you do Sembalun route. It is nice to spend time at the lake with your friends, provided the weather is good. But if you are the kind that is there just to conquer the mountain, 3 days is better. It can be pretty crowded in Rinjani and one can have way better food and better rest in Lombok ha! If you go by Sembalun route which I recommend, fitness doesn’t make a difference to why you choose 3 or 4 days because the 1st day and summmit day is the same for both itineraries. Therefore the only difference is whether you wish to rest at the lake after summit or not. Hey was going through all over the internet again before my trip (going to hike beginning of July) and then found my own comment in your blog LOL!!! Thank for your reply! Will be doing the 3D2N tour as my main goal is to summit and got to Bali. How should i contact you? I haven’t get the agent/company yet for my Rinjani hike. Found this when I was googling on Rinjani. I’m not much of a hiker bt I was thinking of going up Rinjani in August. Will you say that it is easier to go via Sembalun rather than Senaru? And descend via Sembalun as well? I did read that Senaru was tough. Really appreciate your thoughts. I think it is easier because you have more energy to do the summit push as it is on the first day. This is especially so if you haven’t been hiking as you are not used to the conditions. If you go by Senaru, it is slightly steeper and longer, and your summit push is on the third day, so I usually rather do the summit and bear the pain on the first day while I still have most of my energy. Anyway, if you wish to do in August, I could organize for you, at http://www.littlemonsterstravel.com/rinjani3d2n/ or http://www.littlemonsterstravel.com/rinjani4d3n/.